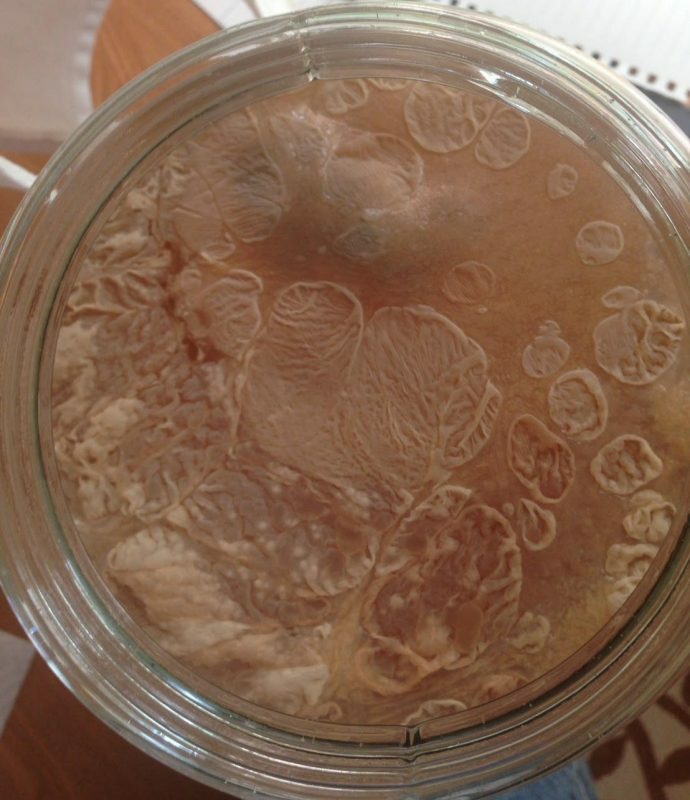 There’s much fascination and vanity associated with the SCOBY. There’s also a lot of mis-information on the internet. Microbiological understanding of the SCOBY and it’s growth cycles are hard to come by. There’s even some fear mongering. And there’s good reason to be careful, contamination could possibly get you sick. The basic components vary greatly. Not only from ingredient to ingredient, region to region but also person to person. 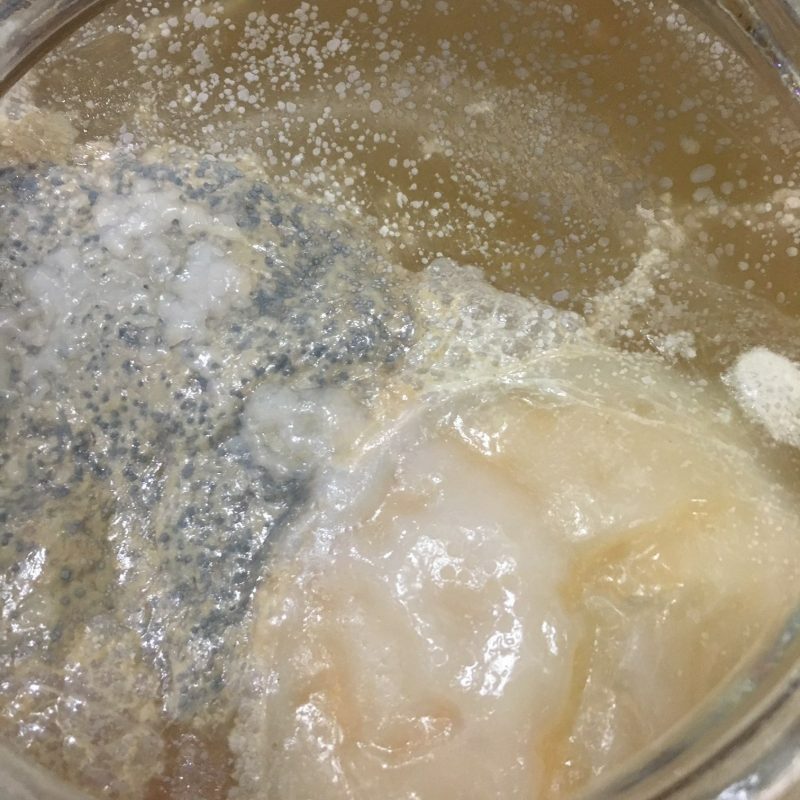 Everyone wants to hand down SCOBYs. We want to teach you how to grow you own. All you need is some culture and patience. 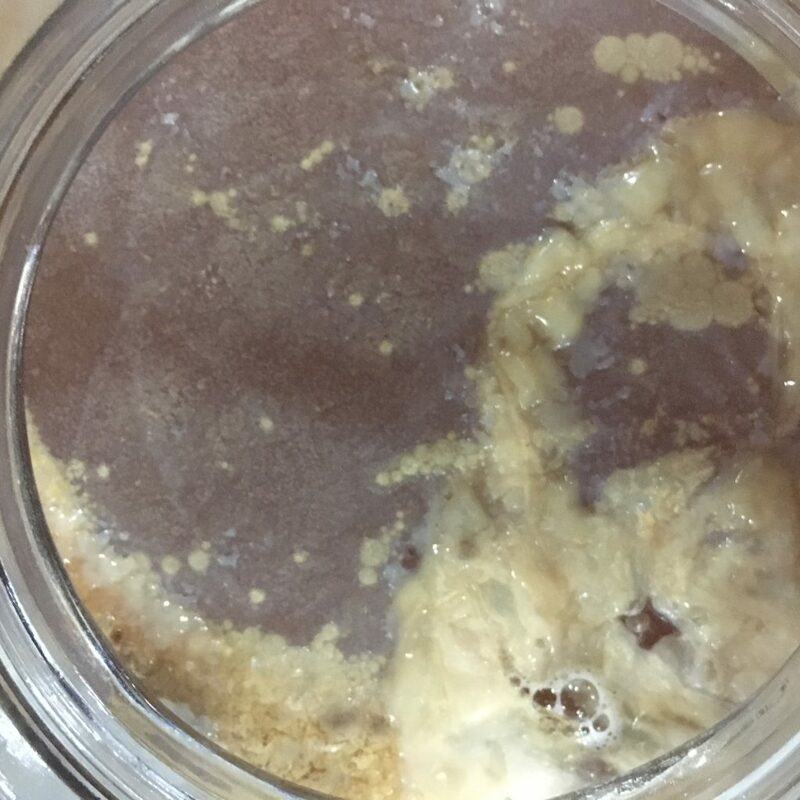 The SCOBY, while not necessary to make kombucha, serves an important role in the process. It is directly a product of it’s environment. Just like us. Theres a whole universe we can’t see, living all around us. Our bodies are approximately 57% microscopic colonists and 43% human cells. This is amazing when you think about it. You have to ask, who’s the avatar? 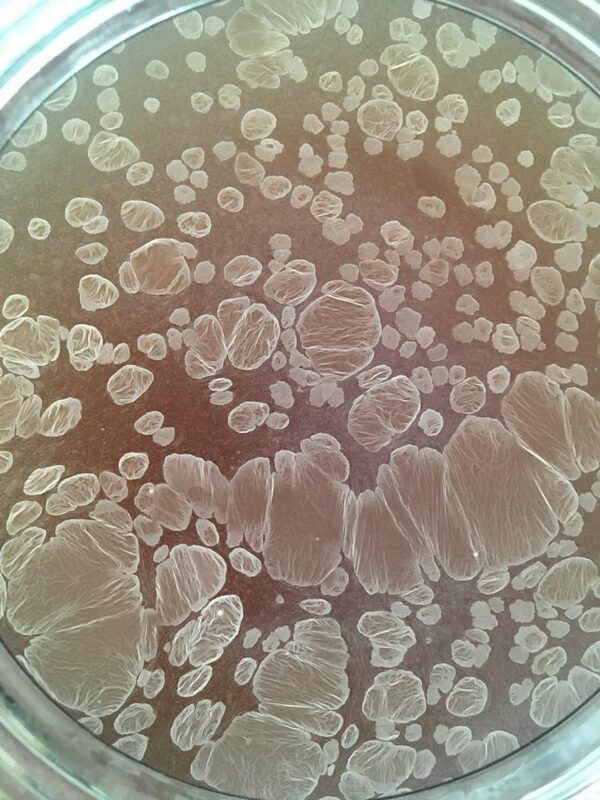 Our trademark Pure Kombucha™ production methods, and what we teach in our classes, have been confirmed by microbiologists. Some have even attended our class. 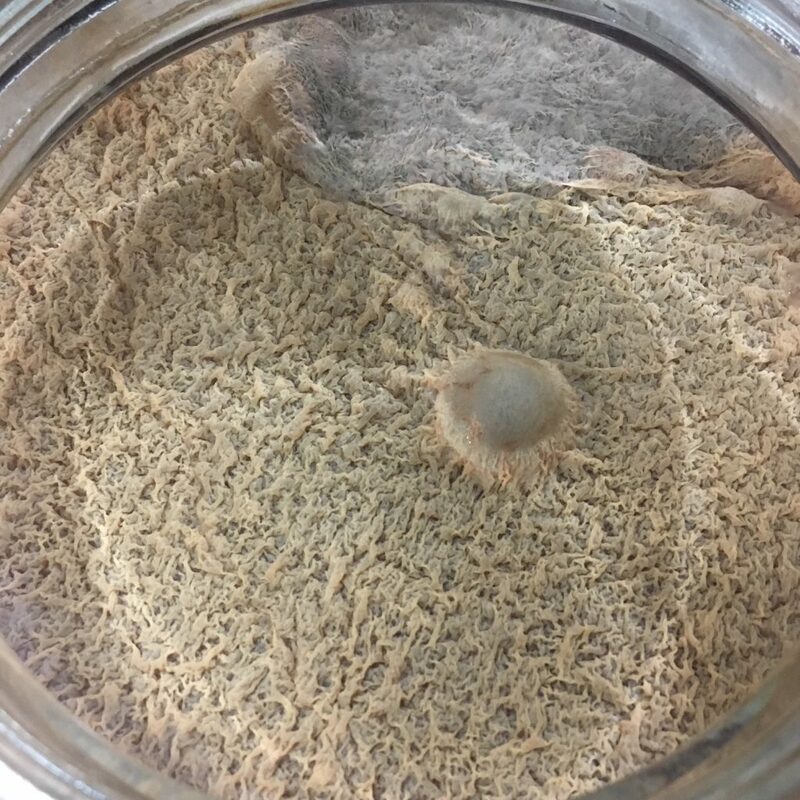 We know how to grow SCOBYs because our production process requires we grow new SCOBYs, from scratch. Keep in mind, certain variables must be maintained as a baseline. 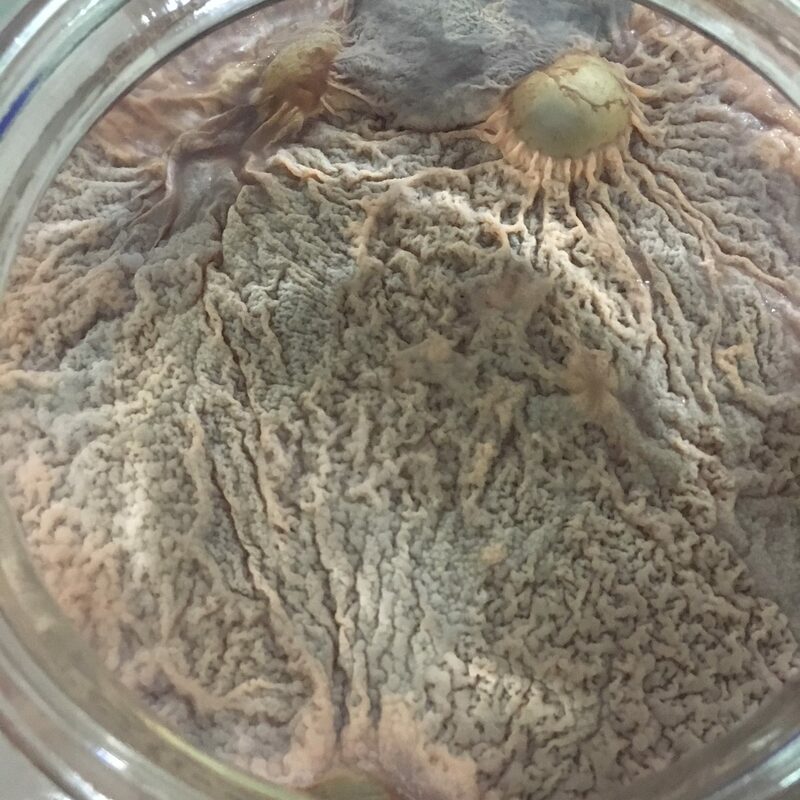 SCOBYs are grown from fresh brewed, sweetened tea, using a standard measure of starter culture. Temperature is an ideal balmy 78°- 82°F (26° – 29°C), humidity is high. We use spring water, altitude is sea level and batch sizes are assumed as 20 Liters or less. Some SCOBYs with short notes. We hope to expound as time permits us. 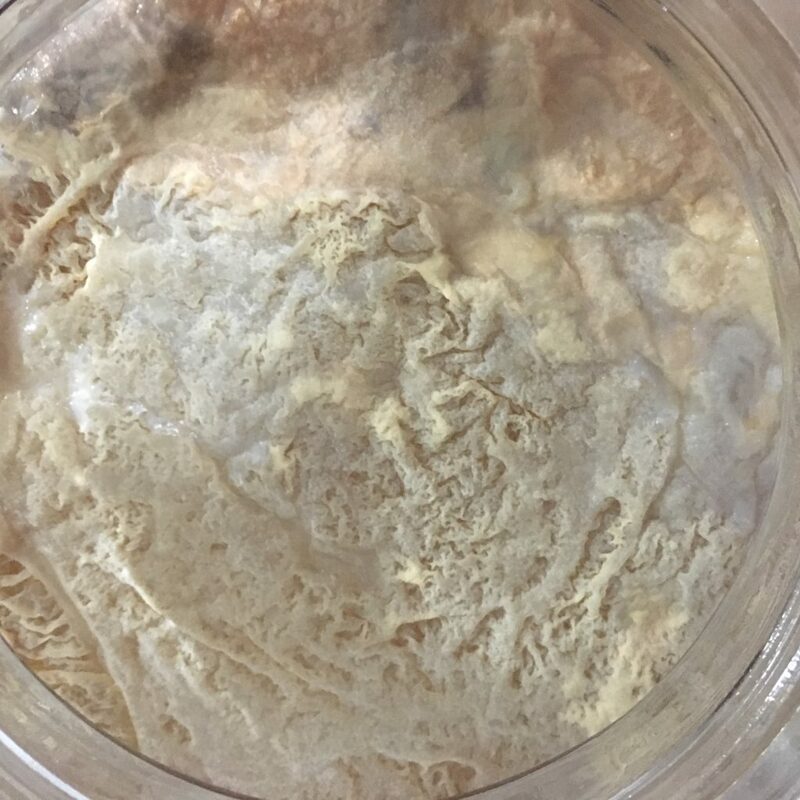 12 days SCOBY – Puerh tea, yeast dominate period, bubbles and thickening cross hatch is positive sign. 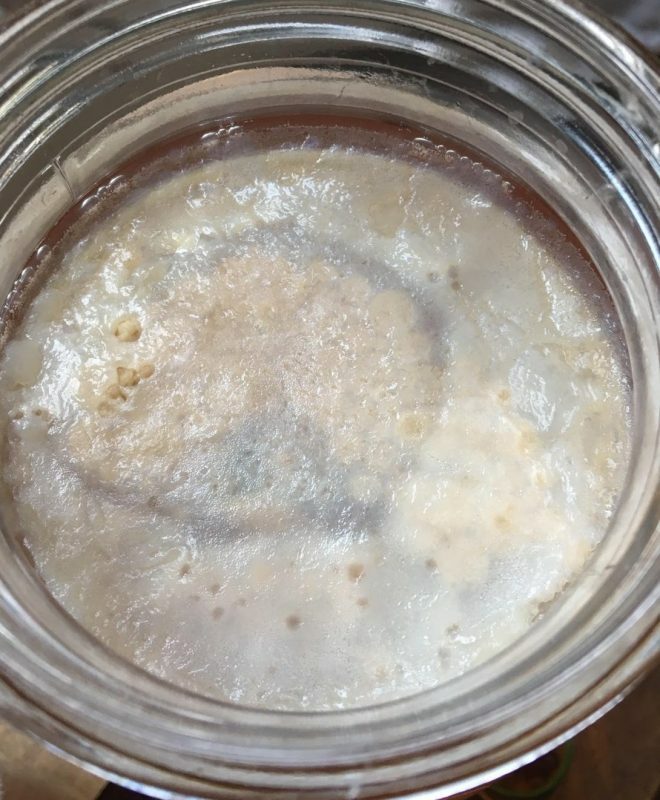 Whats interesting about puerh tea is that its already fermented. This one is 8 years old. 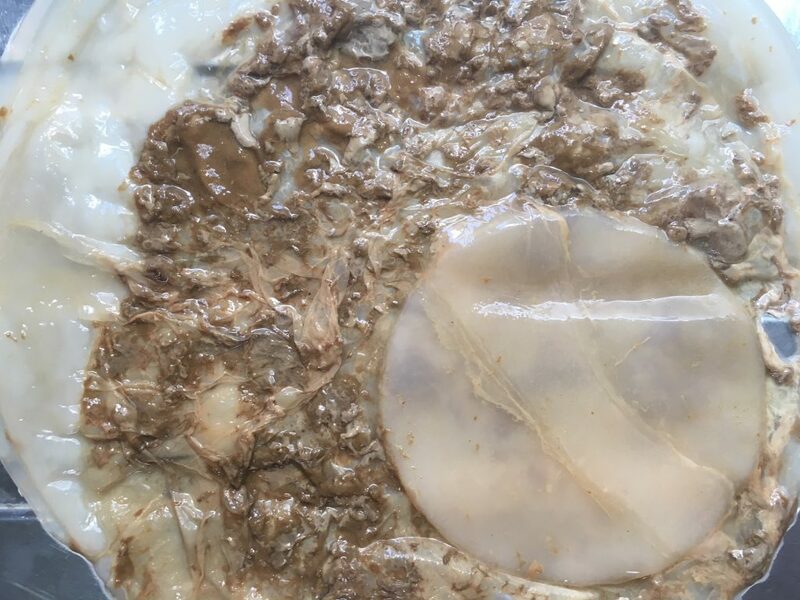 I’ve never seen a SCOBY do this on green tea. 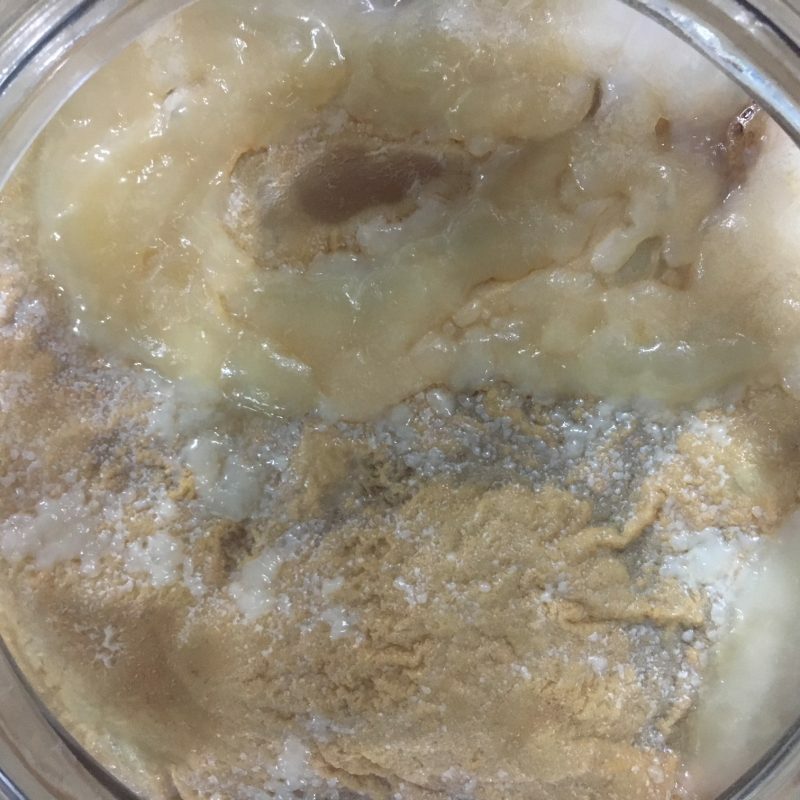 8 days SCOBY – Black Tea, yeast dominate period – yeast blob in top, looks fuzzy but isn’t. This pattering seems to be common with ginger and puerh tea. Ginger contains high amounts of yeast. 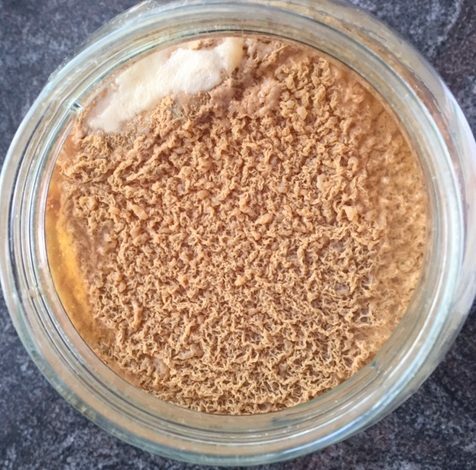 If you use dried ginger we recommend washing twice.